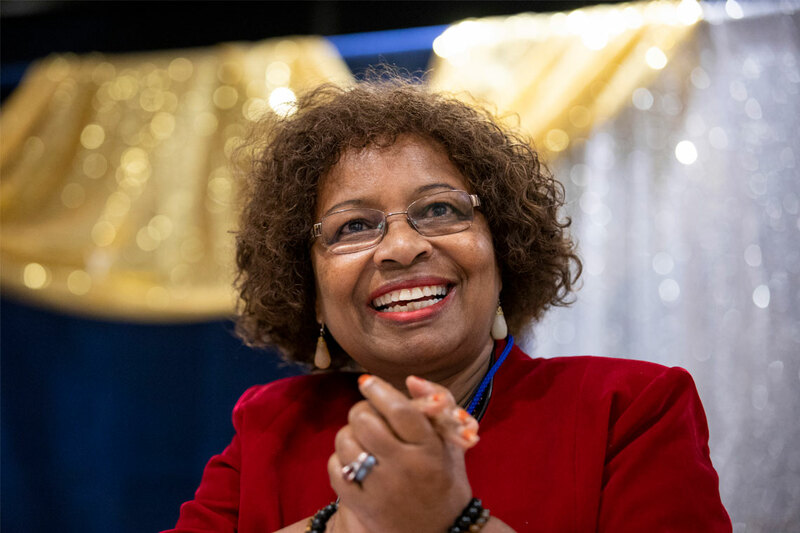 So says Professor Njoki Wane, chair of the department of social justice education at the University of Toronto's Ontario Institute for Studies in Education (OISE). Wane is one of the recipients of this year’s African Scholars Awards – a recognition given to faculty, students, alumni and community leaders by the African Alumni Association at U of T.
What connects this year’s winners is their commitment to building and strengthening communities inside and outside the university in ways that promote diversity, inclusivity and innovation. Wane grew up in a rural village in Kenya, moving to Nairobi for school, and continuing her studies at the University of New Brunswick before moving to Toronto in 1996 to begin her PhD at U of T.
Whether in a tiny town or a big city, making connections with like-minded individuals was crucial for her. “Finding ways to contribute to a community is the way it should be because we are beings that cannot survive on our own,” she said. The African Scholar Awards were created last year but have now become an annual event, said Henry Ssali, founder and executive director of the African Alumni Association and the office assistant in the office of U of T’s President Meric Gertler. Ted Sargent, U of T’s vice-president international, spoke at the awards ceremony, which took place at the William Waters Lounge at Woodsworth College on Friday, about the university’s global network of alumni, including those who have received African Scholars Awards. New to this year’s ceremony is an award for outstanding recent alumni – created to inspire current students by showcasing the work of successful young scholars. When Alfred Majak Maluach received the email saying he was selected as a recipient of the new award, he was thrilled. Maluach was born in South Sudan, moving to Kenya when he was a child as a refugee. He came to U of T through the World University Service of Canada (WUSC) student refugee program, and last year completed his master’s in pharmacology and the collaborative program in biomedical toxicology. He said finding fellow African scholars through WUSC and making friends in the Mastercard Foundation Scholarship program helped him find the support and sense of community he needed to make a large university like U of T feel a bit smaller. “It’s been a really great journey for me,” he said. Fellow outstanding alumni award recipient Emmanuela Alimlim will be graduating from U of T in November. A member of Woodsworth College and an economics major in the Faculty of Arts & Science, she also came to U of T from Kenya – but through the Mastercard Foundation Scholarship. While at U of T, Alimlim founded the Eastern Africa Students Association – growing its membership from scratch and organizing the successful Wakanda Winter Gala. Alimlim has 11 siblings – she’s the oldest – so making the move to Canada away from her family was tough. “For me, during my first two years I really struggled with a lot of depression and lack of community and I was isolating myself a lot in my room,” she said. But she was eventually able to find her place at the university and she hopes other students in her shoes can do the same. Alimlim was speaking about her family when she got choked up at the ceremony. “Yes, I'm glad to be celebrated as an individual but I really see this and this whole event as a celebration of our community and what we've achieved together,” said Hope. A Rhodes Scholar and U of T alumnus who attended Innis College in the Faculty of Arts & Science, Hope is now the Bousfield Distinguished Visitor in Planning and strategic consultant to the vice-president, human resources and equity. His daughter joined him at the podium for a big hug and moral support. Medical student and spoken word artist Chika Stacy Oriuwa received an emerging academic award. “I learned my greatest empowerment came from empowering those within my community to break through the barriers that have long kept us from achieving new heights,” she said. Chizoba Imoka, who also received the emerging academics award, is a PhD candidate at OISE. “Forums like this are really important…for providing space for us to be able to acknowledge the things that matter in our community and acknowledge the people who are actively engaged,” said Imoka.